Parenting can be the most joyful, rewarding experience, but it comes with challenges and stressful moments. Take a second and think about the most frustrating thing your child does. Are you in the grocery store when he or she decides to start tearing boxes from the shelves? Are you at a birthday party when your child starts to pull other children’s hair? Let’s face it, children sometimes act in ways that are difficult to handle, and we a ll have a hot button. In this Challenging Behaviors unit, we will learn more about them- exploring where they come from, what contributes to them, how to address them, and how to prevent them. These behaviors may test us emotionally, intellectually, and even physically so it helps if we can better understand them. There are many reasons your child may act in ways that you find difficult to handle. There is always meaning and purpose behind their behaviors. It’s when we don’t understand the message they are trying to send that we become challenged or frustrated. The behavior may be a product of your child’s development, their feelings and emotions, or their environment. For example if your child is screaming uncontrollably, they are likely trying to get your attention and let you know there is something wrong. They may become frustrated by being unable to communicate this with you through words, so they cry to get their point across. When difficult behaviors arise, we have to think about where they are coming from and what our children are trying to say. Challenging behavior is subjective. This means that what you find challenging may not be so challenging to another parent, and vice versa. Susan may hate whining and become annoyed, while Marcus may become overwhelmed by his child’s high energy level. 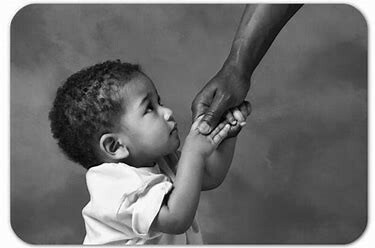 A child who is strong-willed and doesn’t easily follow directions may be viewed as capable and independent, while another parent may view this child’s attitude as oppositional and defiant. Your patience can also vary from day to day. Imagine you are rushing out the door, late for work, and your toddler decides to bite his or her sister. You may be a little more challenged in this instance than you would be if the day had been going smoothly. Different behaviors challenge us all in varying ways. It’s important that you know what your buttons are, so that you can be mindful to react in appropriate ways when that button is pushed. This can help you to avoid impulsive reactions to your child’s challenging behavior. In the midst of challenging behaviors- a baby who has sleep troubles or a toddler just learning the word “no,” it’s easy to blame yourself. When your child is in a difficult stage, you may find yourself doubting your parenting skills and asking “What did I do wrong?” Remember, every parent has their successes and their failures. When you feel like things aren’t going so well, consider a time you felt really confident in your parenting skills. Then recall a time when you did not feel as confident. How can you learn from both of those experiences? Children can be hard to handle! If you find that you are overwhelmed or overstressed, don’t be afraid to take some time to yourself. As we’ve talked about before, a healthy child starts with a healthy you! Try some of the activities listed below when you feel frustrated and need to recoup. Tantrums, Defiance, Aggression- Oh My! Watch this video to learn more about understanding and managing challenging behaviors. The Discipline Dilemma: Check out this parenting resource that discusses how to find a discipline approach that works for your family. Take a look around this Challenging Behaviors Tool Kit from Autism Speaks for strategies and resources to support you when addressing these behaviors.